Step aside Switzerland and back off Bavaria… there’s a new region of Europe that has stolen our nature-loving hearts! 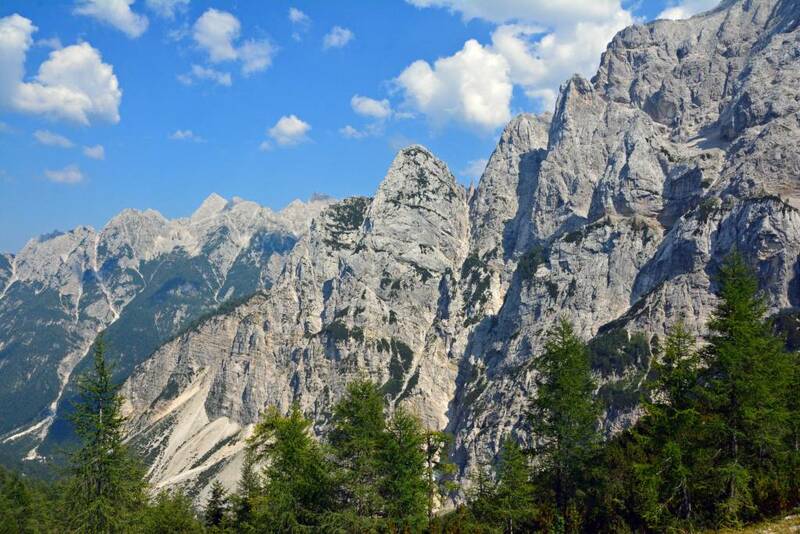 A drive along the Vrsic Pass in Triglav Naitonal Park got our engine revving, our hearts racing, and provided some of the most gorgeous views around! 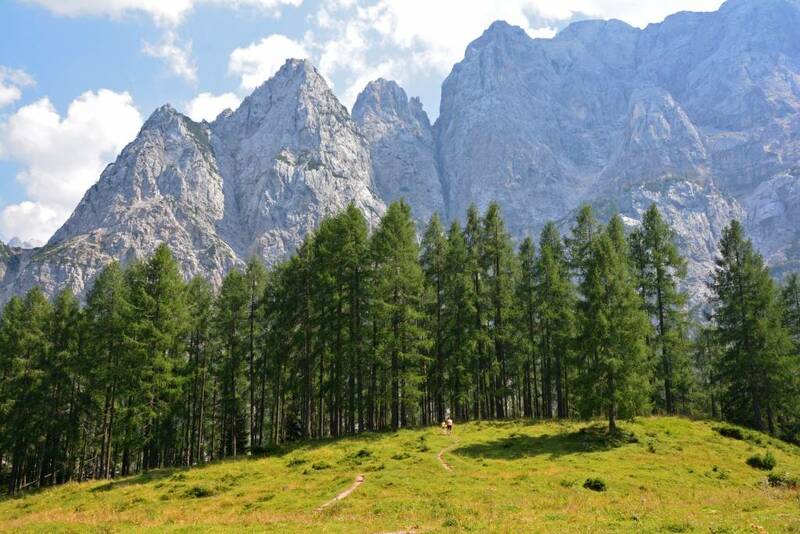 Slovenia only has one national park- Triglav, which makes up 3% of the entire country. 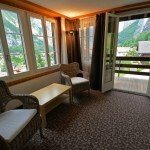 At close to 340 square miles (880 square km) and with so much beauty packed in, you really only need one! 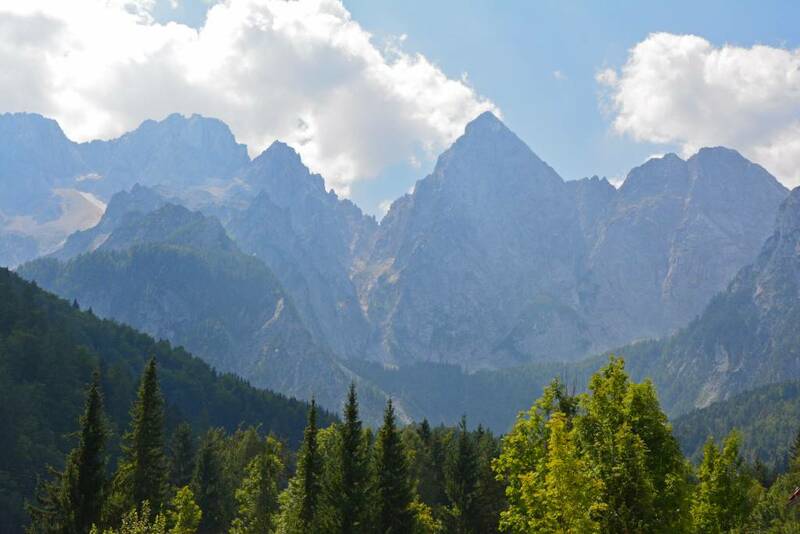 Triglav National Park is named after the highest mountain, located in the heart of the park, which also happens to be the highest summit in all of Slovenia at 9396 ft (2864 m). 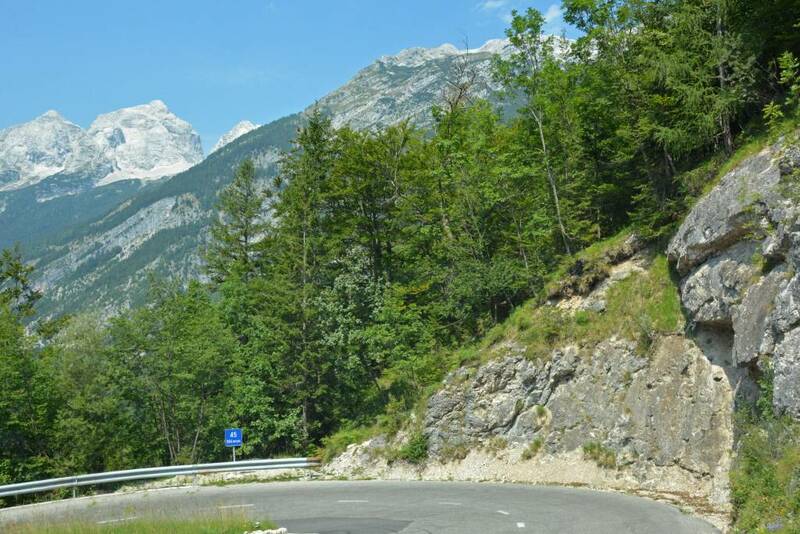 One of the best ways to experience the national park is to take a drive on the Vrsic Mountain Pass (Vršič Pass) through the Julian Alps. 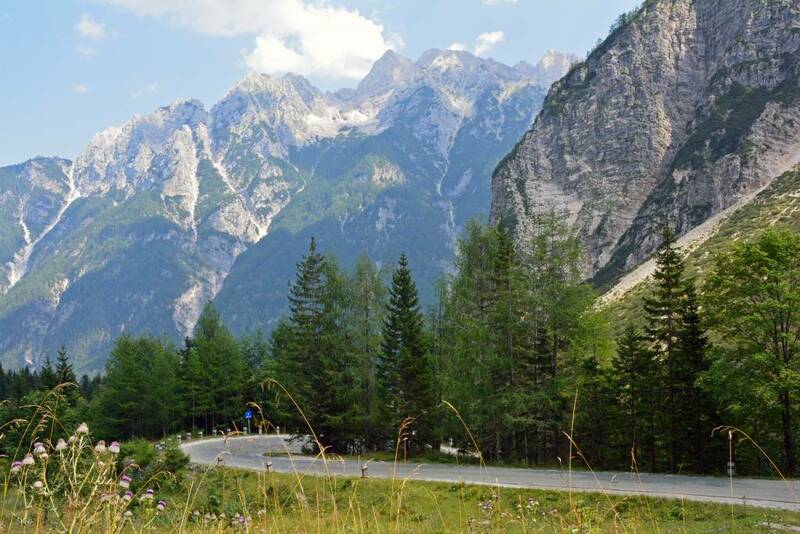 Reaching an elevation of 5,285 ft (1,611 m), this windy mountain road takes you up and over one of the most majestic mountain ranges in Central Europe. 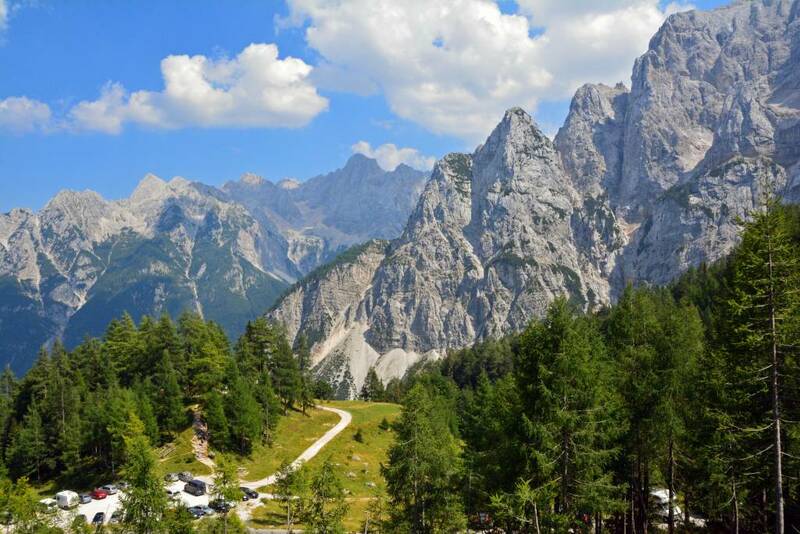 We started our journey in the town of Kranjska Gora and followed the 50 hairpin turns (known in Europe as serpentines) to Trenta, making several stops along the way. Each tight turn is labeled with a number 1-50 as well as the elevation. At turn #8, you will find the Russian Chapel (pictured below). 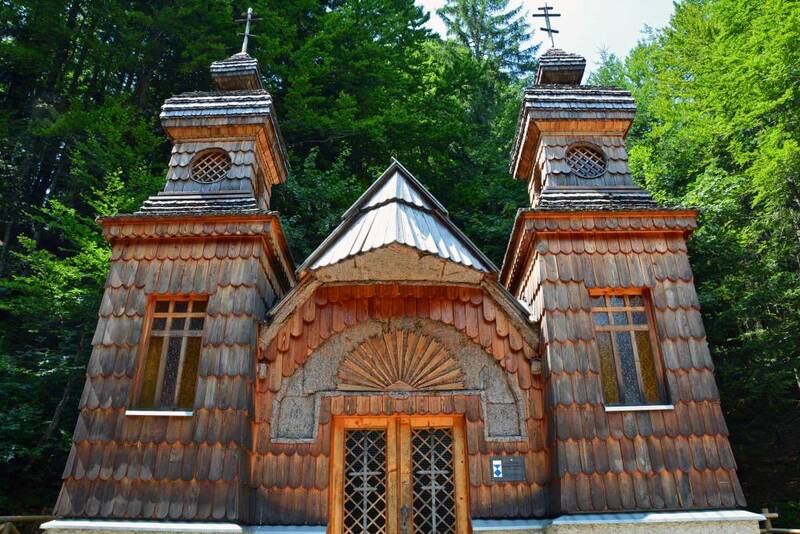 This chapel was built where over 300 Russian prisoners of war, forced to construct the road, were killed in an avalanche in 1916. 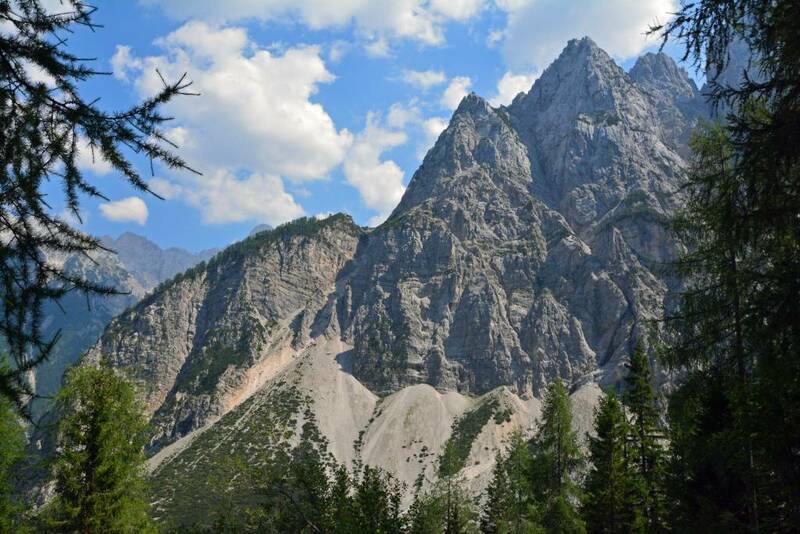 The views along Vrsic Pass are nothing short of spectacular along the entire drive. Be sure to stop often, like we did, so the driver can also get a good look at the surrounding beauty. 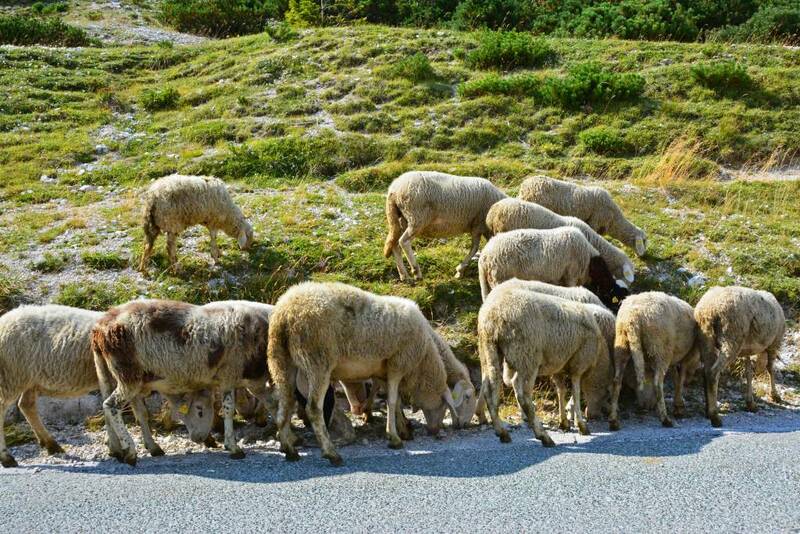 They’ll need to keep their eyes on the road otherwise, as it is narrow and windy with two-way traffic, including everything from motorcycles to motor homes… and a few local residents! 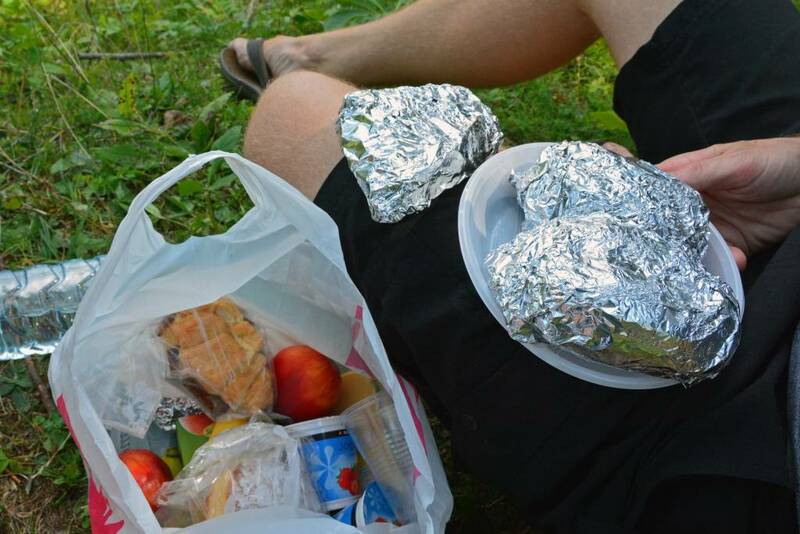 Just after turn #16, we pulled off again to admire the views and to enjoy a picnic lunch. Following a well-worn trail into the trees with our lunch in hand, we came upon the perfect spot to eat, relax, and enjoy the glorious view! Honestly, we could’ve sat here all day, but we knew there was so much more to explore… we were only only turn 16 of 50! Turn #16 is a popular stop-off point, as there are towering mountain peaks all around and tiny mountain huts in the nearby fields. 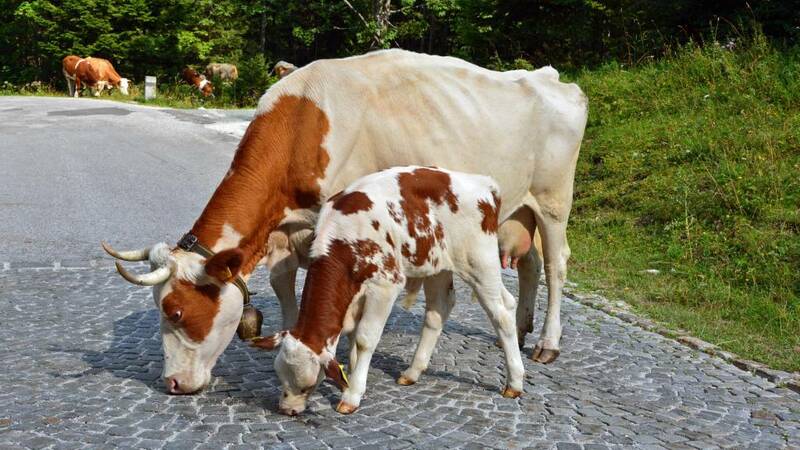 Just heed our warning: watch your step… there are ‘cow patties’ (poop) every few feet! From here you can also view the hole in the mountain, known as Front Window or Prednje okno. The Pagan Girl (Ajdovska Deklicacan) can also be seen from here, but there is a way to get a lot closer look, which we’ll explain in just a bit. Shortly after our lunch stop, we pulled off again at turn #17 to admire the hundreds of stacked rocks left behind by patient travelers. The turns are pretty evenly divided, with 24 on the side of Kranjska Gora and 26 on the Trenta side. So, once you’ve reached turn #24, you know you’ve made it to the Vrsic peak. 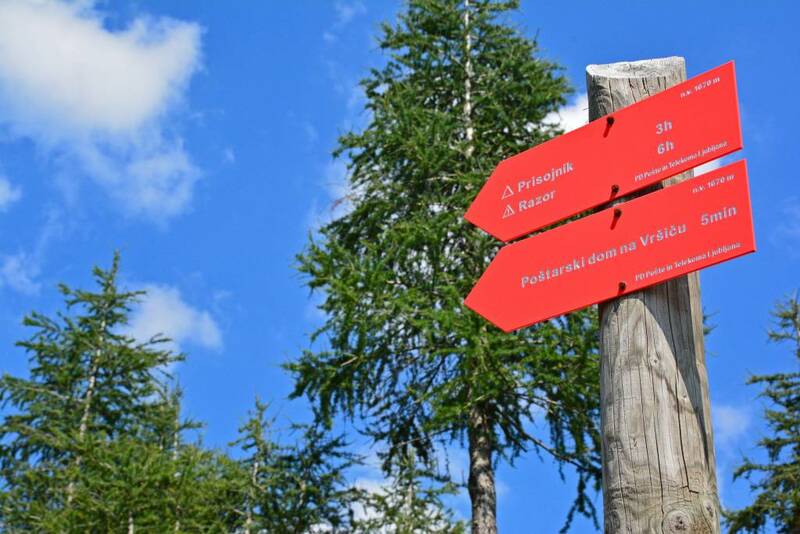 At the peak, we recommend taking a little stroll to the mountain hut of Poštarski dom na Vršiču. The path is well labeled and the hike to the hut only takes about 15 minutes from the parking lot. 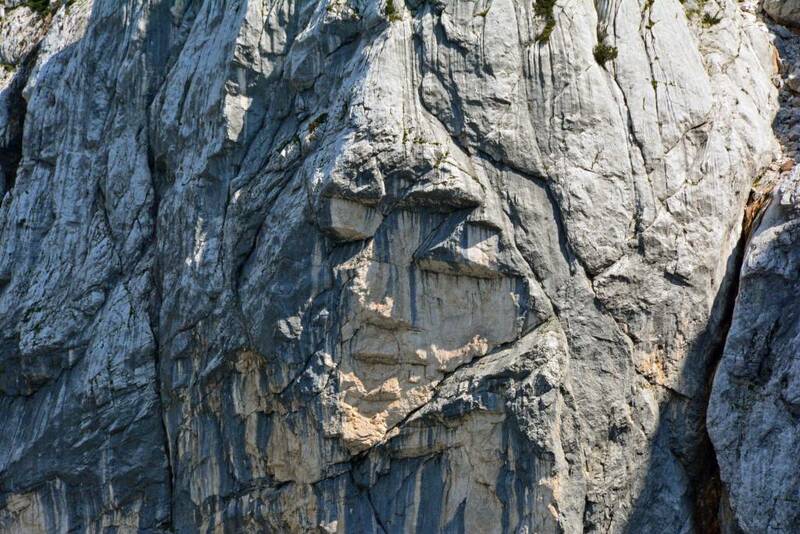 Along the way, you will pass the walls of Prisojnik to the east, where you will get a closer look at the The Pagan Girl (Ajdovska Deklicacana), a woman’s face created out of fragments in the rock. Legend says that The Pagan Girl is an image of a petrified pagan goddess who would help mountaineers and people transporting goods find their way through blizzards. She could also foretell the fate of a newborn. She once foretold a baby boy from Trenta who would become a brave hunter. He would shoot a white chamois with golden horns and sell the horns to become rich. The Fates did not like or approve of this prophesy and cursed her, turning her to stone. Legend or not, it’s a neat formation. Do you see The Pagan Girl below? A rugged panorama follows the trail on the right, and straight ahead into the vast valley. 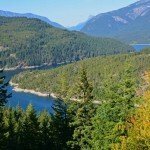 There are several hiking trails that continue from this area, if you’re feeling extra adventurous! For example, from Vršič, you can access Mt. Mala Mojstrovka, Jalovec Mountain, and Slemenova Špica, which is popular among families. From the peak, we continued our drive on the Vrsic Pass. The turns got a little more tight on the drive toward Trenta. If you’re prone to car sickness, this may not be the drive for you! We were amazed that the speed limit was 90 km/h (55 mph)! As you can see from our GPS below, we felt perfectly safe going less than half that speed! 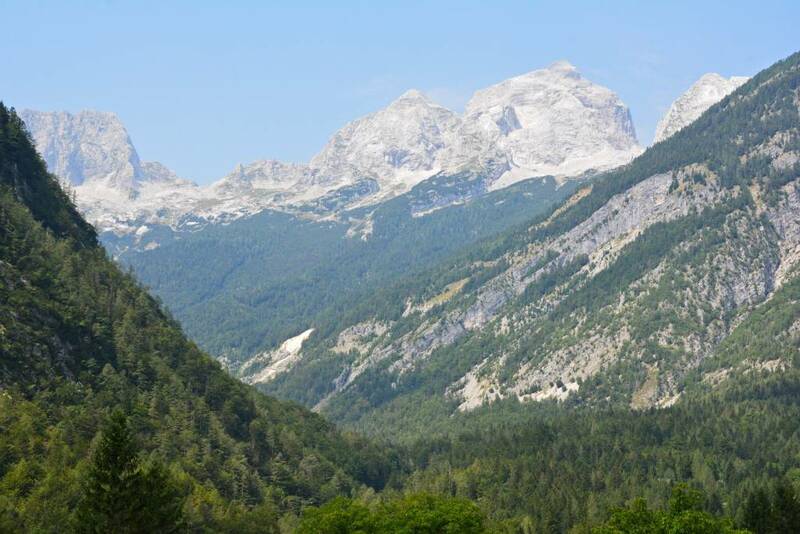 The Vrsic Pass is only open for an average of seven months per year, as the upper elevations are rendered impassable due to heavy snowfall during much of winter. If you’re inexperienced driving on windy mountainous roads, you probably wouldn’t want to do this drive in the dark or during a heavy rain storm. 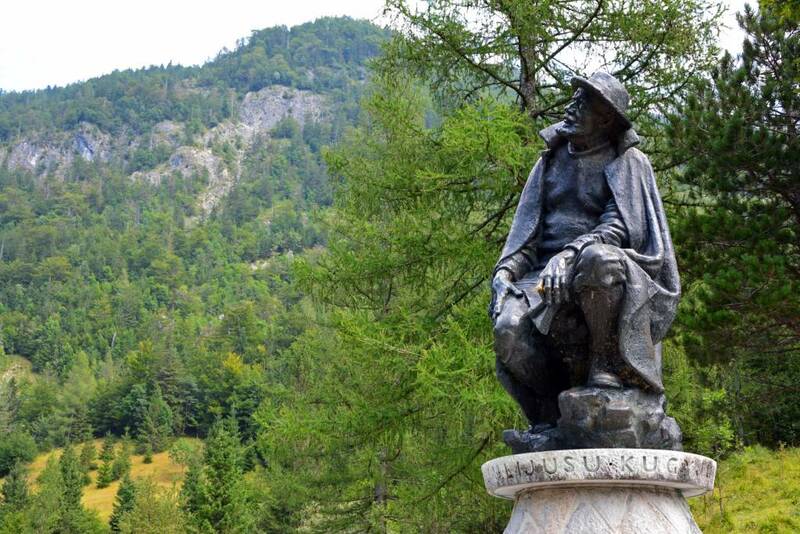 Near turn #48, there is a bronze statue commemorating Dr. Julius Kugy, an Italian botanist, known as the ‘father of modern alpinism’ in the Julian Alps. The views are breathtaking and you can peer off into the distance right alongside Dr. Kugy. 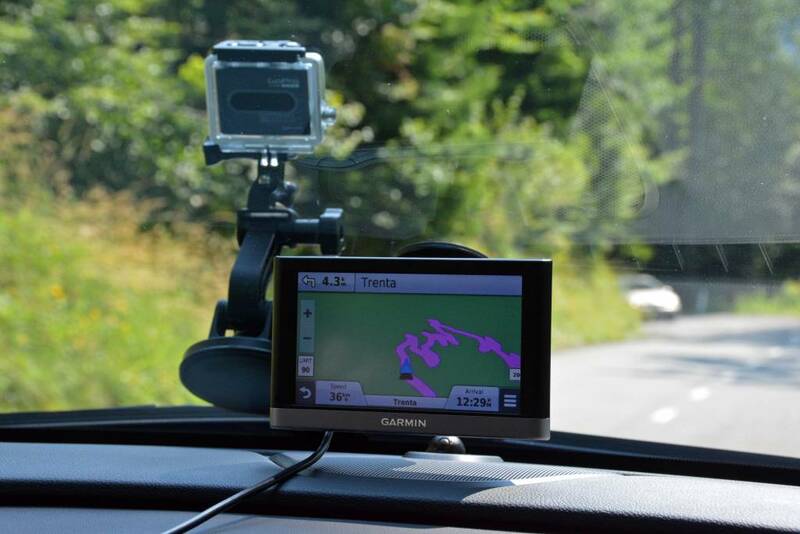 You’ll know you have completed the official portion of the Vrsic Pass when you reach turn #50 in Trenta. The road suddenly becomes wider and a little less curvy. Congratulations! You’ve made it up and over the pass! Your reward? 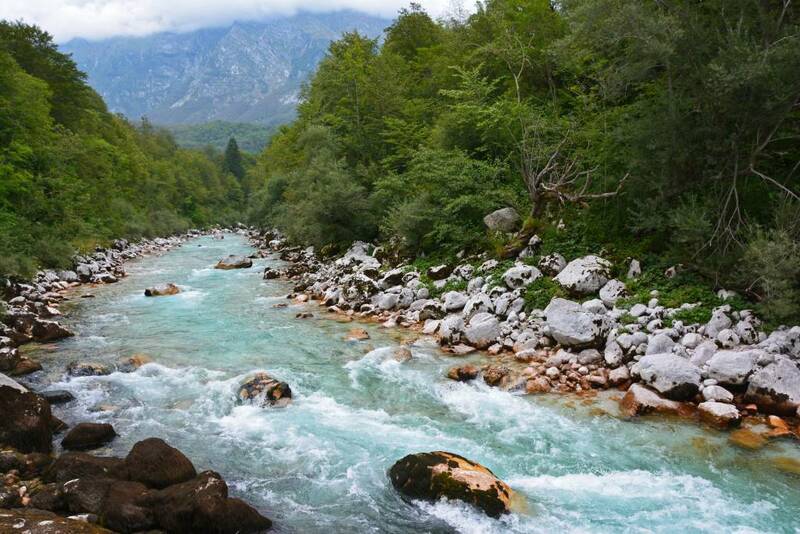 A peek at the vibrant turquoise waters of the Soča River. 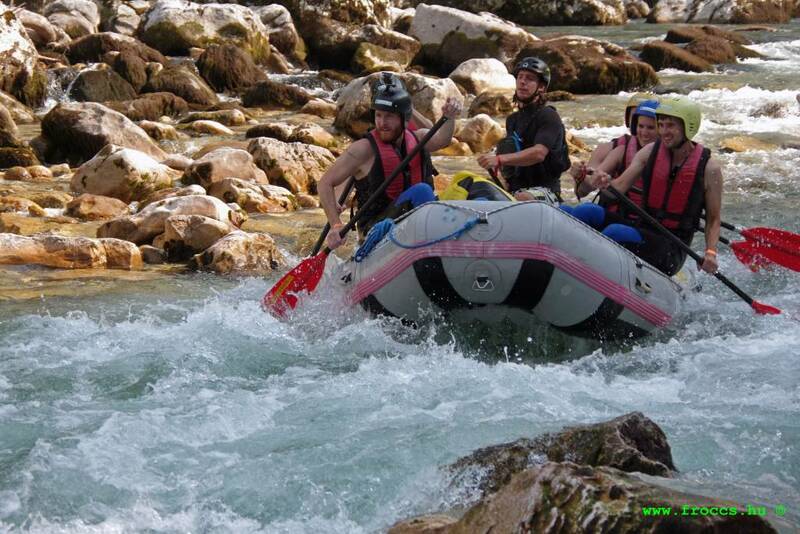 Keep on going all the way to Bovec and embark on an epic whitewater rafting adventure! 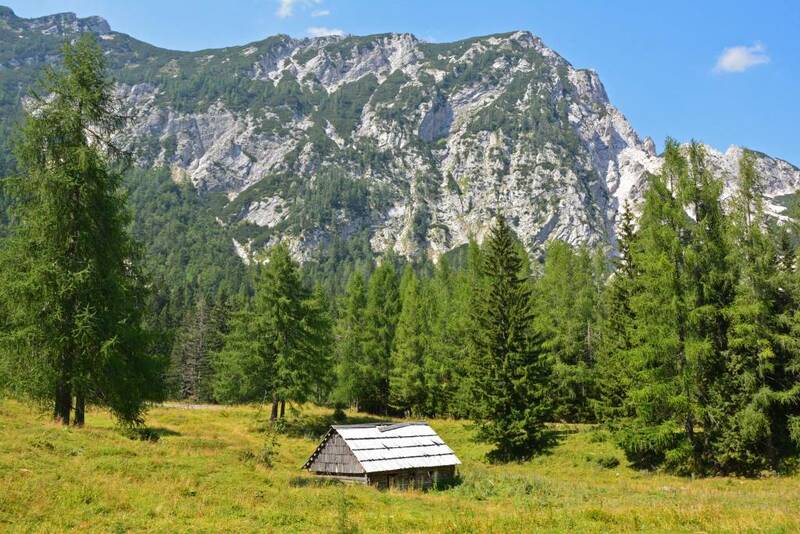 Slovenia has so much to offer nature-lovers! 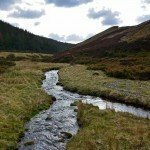 If you love the great outdoors like we do, you absolutely MUST visit this naturally beautiful country! With so much to offer like a charming capital city, small towns, wine regions, beautiful lakes, gorgeous gorges, and a sliver of coastline, there’s certainly no shortage of places to explore and adventures to be had in Slovenia! 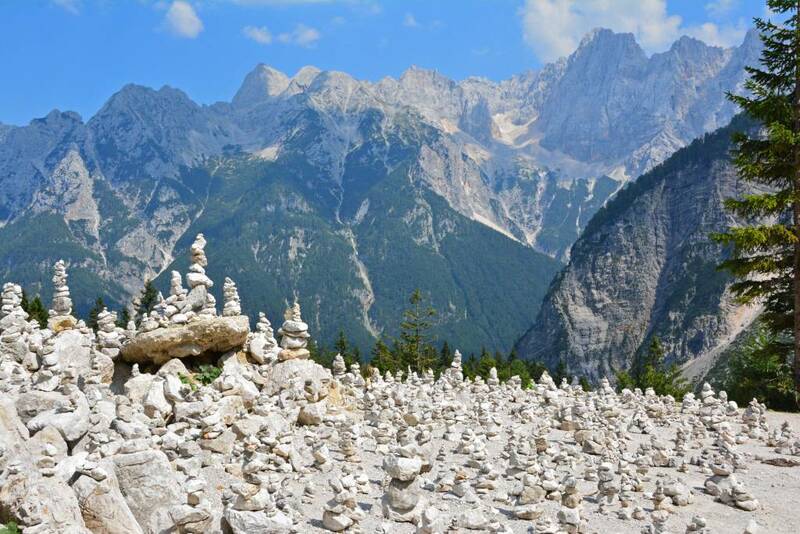 Wow – I’m truly in love with Slovenia already after seeing these pics! Anto, you would LOVE Slovenia! All the beauty and adventure you can handle! Slovenia is definitely a hidden gem within Europe. We haven’t talked to too many others who have visited and didn’t absolutely fall in love with the country! We will finally visit the home of my 4 Grandparents this summer! Slovenia looks beautiful! It is, however, pronounced Slo-veen-ee-ah!